Fischer was released on April 2nd from the 5-0 Envy without an explanation coming from the team, after Ronnie "Talespin" DuPree and Ash "Chu" Long informed Dallas Fuel and Envy management that Fischer was the player who shared information to the Boston Uprising players regarding the proposed trade of Asking and Fusions for Fate and KSF Haloofthoughts can reveal. They also accused Fischer of sharing information surrounding players that Envy were trialling. However, multiple sources have confirmed that Talespin shared this information to the Envy players after he received it from a member of the Valiant’s coaching staff and then, alongside Chu, proceeded to accuse Fischer of the leaks. While a conversation was had between Fischer and some Uprising players asking if there had been any news about a deal involving Fusions. Multiple sources advised that no specific information surrounding the other players or teams involved were mentioned to the Uprising players. Once Envy management received the information from Talespin, they proceeded to suspend Fischer without allowing him to present his side of the story through discussion or meetings. Fischer was instead informed of his suspension over Discord, via a message from Chu, and then later received a call from his agent to advise that he had been released. With word spreading that Fischer was now a free agent, two North American Contenders teams offered Fischer a trial to join their team. As a result, Fischer and NRG had a deal in place for him to join their academy team. Sources stated that the team had bought him a ticket to join the team at the NRG gaming house. 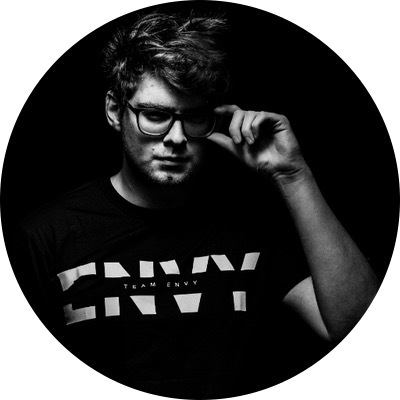 However, an hour before Fischer was due to be at the airport, word reached the Envy coaching staff that he was about to join them prior to the NRG vs Envy Contenders game on April 3rd, Prior to the deal being completed NRG received information from Envy that resulted in NRG cancelling the deal at the last minute before he boarded his flight. Sources have also shared the above screenshots with Haloofthoughts detailing the messages that Chu had sent to the multiple organisations that were interested in Fischer. These messages from Chu, state that Fischer was released due to ‘attitude and performance and certain behaviours and actions. Chu also states in these messages that ‘Every team dynamic is different but it feels like teams always run their course with Fischer and he’s the type of person to very quickly divide a team’. 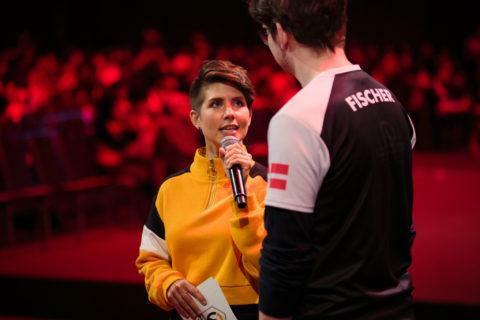 Despite these statements sources stated that Fischer was the person who voiced the opinions of the team, accepted a temporary move to play Main Tank while Trill was going through his Visa application and Envy’s scrim results being positive at around 76% with Fischer in the lineup. At this time Envy were also 4-0 in the current Contenders season and sources close to the team confirmed, that the players were very happy with their team dynamic and play. The situation between Fischer and the Envy coaching staff started to develop during the third season of North American Contenders. After a poor start to the season, with Envy going 0-2, the coaching staff started to send private messages to the team’s DPS players, stating what their roles within the team and explaining that they wanted the DPS players to stick to these roles. Sources have also advised that at times the coaching staff would send messages about the team’s other DPS players, stating the reasons why players were being dropped and saying that "positions were open". Sources state that while this was an attempt to foster competition between the three players, it also caused the Envy players to slowly lose trust in both Talespin and Chu. With the players feeling uncomfortable with the direction that Envy was heading in, sources advised that Fischer held a team meeting with the players to discuss their concerns. This included a conversation between the players to ensure they maintained their high level of practice after the failed season three. Once he had these, he repeatedly relayed these to the Envy coaching staff. Changes brought forward by the Envy coaching staff included Chu asking both Fischer and Hugo "SharP" Sahlberg to collect end-of-game stats by taking screenshots of their medals after each map ends. Sources confirmed that doing this would result in both players having 10 screenshots per scrim block and Chu asked them to do this for a two week period. Both players felt that this request gave the team no benefits and while the rest of Envy's players agreed, this is a practice that Envy’s coaching staff continued to implement. Things got worse between the coaching staff and the players when Envy brought in Side Effects (formerly Bazooka Puppies) team manager, Jaclyn "Bomb" Basiley on a trial basis. Shortly after Bomb joined as a trial manager, Envy faced some roster challenges as two players from the Academy team received offers from an Overwatch League outfit. This resulted in Envy trailing two further players in case they were required to replace them at short notice. Sources confirmed that when the two replacement players arrived in the team Discord unexpectedly, the Envy players had another team meeting and agreed that they would like to have some insight into who they may be playing with. This conversation between the coaching staff and players was led by Fischer, who'd become the vocal leader of the team when it came to talking about how the players felt. This led to further accusations from Envy, stating that he was sharing information regarding who the team were trialling. However, sources have also confirmed that anyone who's in the Envy Discord with the “friend” tag can see who the Envy players are playing with. Additionally, due to the fact that teams need to be made aware if there is the potential of an academy team signing their player, and the fact that they will be playing other teams with any potential trial players, this point seems to be null and void. The results of the actions of Talespin and Chu surrounding Fischer had cost him at least one opportunity and could have potentially cost him his career. Sources have advised that the Dallas Fuel and Envy were not aware of the actions of their coaching staff and have confirmed that the Fuel and Envy management had no part in preventing Fischer finding other working opportunities. Haloofthoughts reached out to Fischer, the Dallas Fuel, Talespin, Chu and NRG for comment. Fischer declined to comment on the situation. While Chu, Envy, Talespin and NRG didn’t respond to comment at the time this was posted.